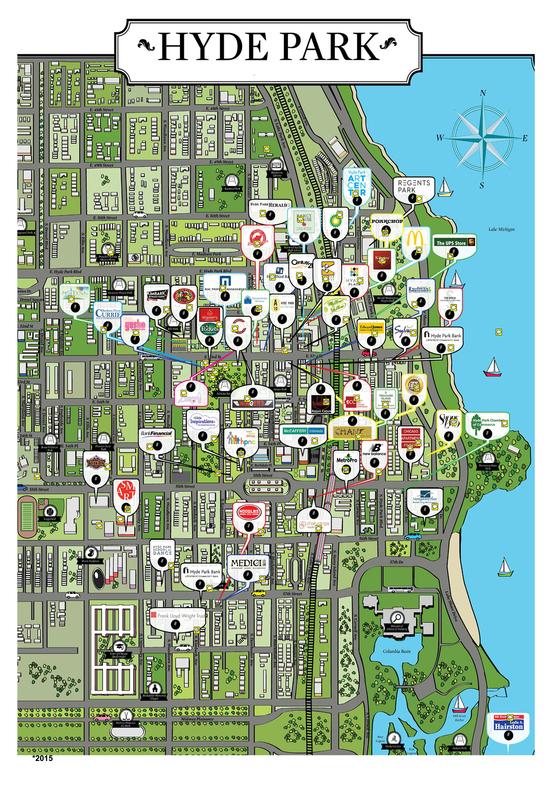 The Hyde Park Chamber Of Commerce is ramping up for our 2017 Hyde Park Illustrated Map. 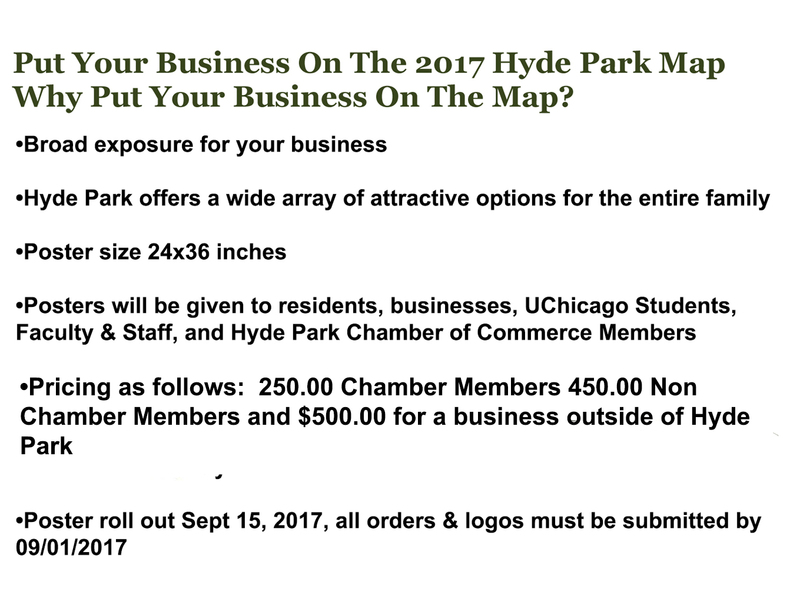 If you reserve your spot and the Chamber receives your payment by September 01, 2017 you will receive a spot for your business on the 2017 Hyde Park Illustrated map. You can mail your check to Hyde Park Chamber of Commerce, 1715 E 55th Street Unit B. Chicago Il 60615 or reach out to Joyce Stanley or simple drop your payment by the office.